"Rapidez y eficacia esas son las palabras que pueden definir el servicio que..."
price: (Retail)	21,30 € tax incl. Pendant in sterling silver in angel wing format decorated with the stones of the chakras. 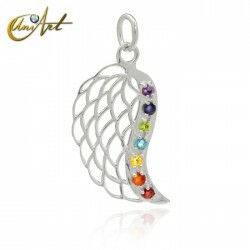 It is a delicate pendant in sterling silver with a wing shape and decorated with the faceted stones of the seven chakras. 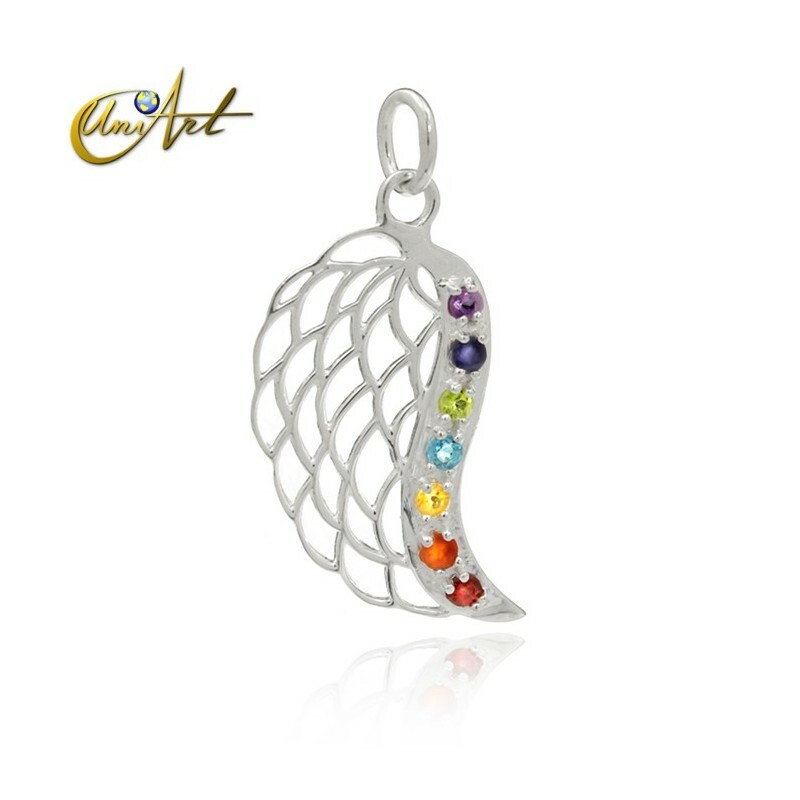 Garnet, carnelian, citrine, topaz, peridot, iolite and amethyst are the stones that appear in this beautiful pendant made in sterling silver. The approximate measurements are: about 4.5 cm x 2 cm, ring considered. The sequence of the gems may be different from the photo.